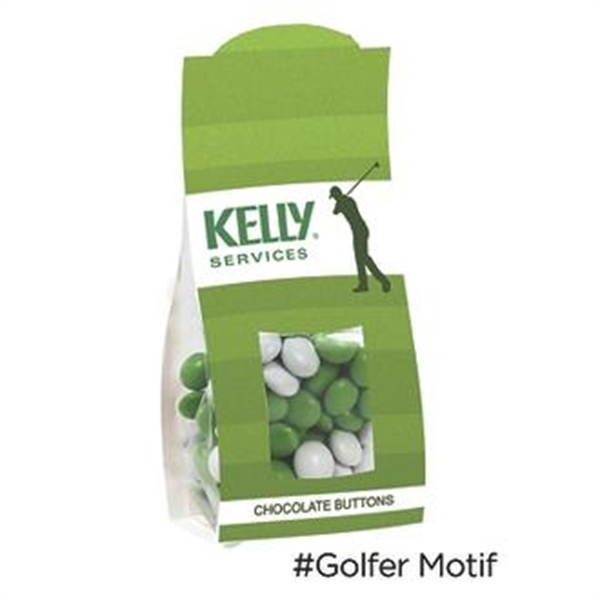 Draw plenty of attention for your business when you give out this Par snack collection of chocolate buttons! Recipients get 4.5 oz. of the candy in a completely custom package measuring 2.5" x 1.5" x 6". Customize it with our stock golfer motif, a Tee Time motif, golf ball motif, or customize the imprint area with your own company artwork. Make sure to add your logo as well and give people a delicious taste of what you can do! Size: 2.5 " x 1.5 " x 6 "